It's the pact with readers that make bloggers such a powerful force. We may not be experts by your definition, but if an expert is someone that audiences trust to guide them in the right direction, we meet that criteria handily. 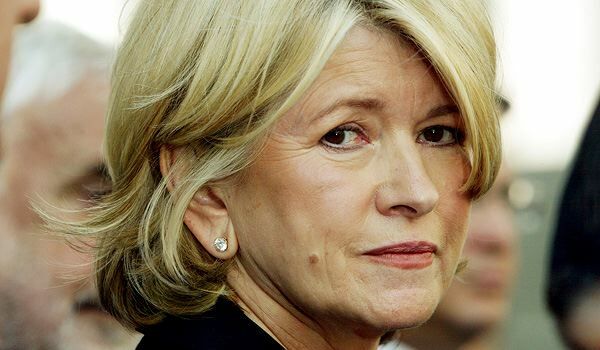 Last week, Martha Stewart caused something of an uproar in the blogger community when she said, in an interview with Bloomberg TV: "Who are these bloggers? They're not editors at Vogue magazine...I mean, there are bloggers writing recipes that aren't tested, that aren't necessarily very good, or are copies of everything that really good editors have created and done. So bloggers create kind of a popularity, but they are not the experts." She's since backtracked; a wise move considering that her empire includes an entire network of bloggers with MARTHA STEWART plastered prominently on their pages. At first I was offended by her off-the-cuff remarks, now I'm mostly amused. This was a telling, unguarded moment for Martha and one that reflects the vintage, bespoke bubble she's living in with her dogs in Connecticut. To be clear: I don't think Martha's entirely wrong. We bloggers are a scrappier bunch than the magazine editors at Vogue. In fact, I think I may be the living embodiment of everything Martha's criticizing: I've posted disgusting, inedible dishes like this disgusting, inedible curry; and when I do post a successful recipe, it's usually my take on someone else's work. My original recipes would never make it into a magazine. If Anna Wintour saw me walking on to an elevator, she'd probably exit and wait for the next one. So how do I live with myself? Why do I think my work is good? The answer has everything to do with the distance between myself and my readers. 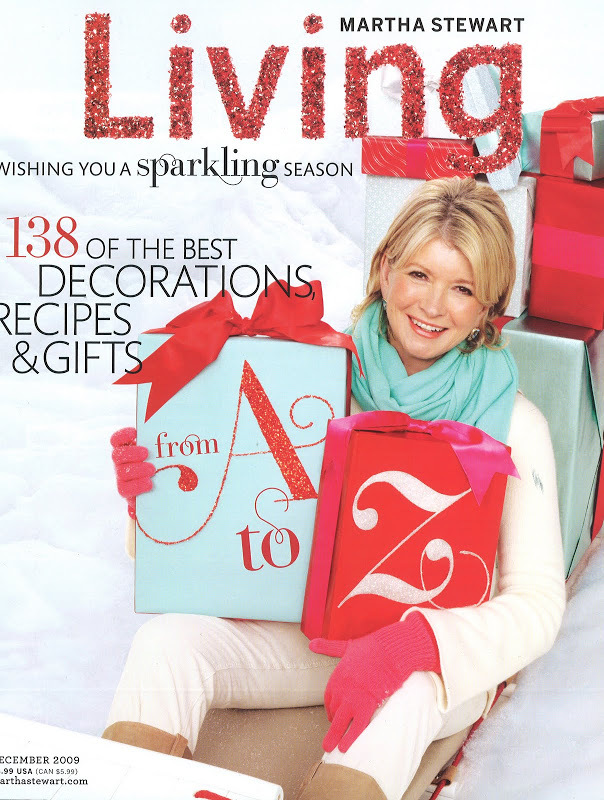 When an article is published in a food magazine (like Martha Stewart Living, for example), the work begins months -- sometimes a year -- before you read it. A roomful of editors sit around a table and toss around concepts for stories. Most are rejected, some get through. The ones that get through are assigned to writers and those writers then spend weeks -- sometimes months -- developing their stories. The recipes attached to those stories are tested over and over again; the words that make up the stories are scrutinized by editors, who often get the writers to rewrite their work, and then copy editors who question every period, comma and semicolon. By the time the article goes to press, that original notion for the story -- which happened a year ago early in the morning over coffee and stale bagels -- has morphed into something so heavily polished, it's barely recognizable. The resulting work may be excellent, but here are the things it's not: spontaneous, exuberant, unfiltered, raw. Those adjectives describe the work of the best bloggers. We're not trying to emulate magazines; we're doing something very different. We have the ability to react to things -- like your blogger-bashing -- with immediacy and a level of truth-telling few mainstream publications could allow. While you're worried about offending advertisers, we only have to worry about one thing: alienating our readers. It's that pact with readers that make bloggers such a powerful force and why a plug from a popular blogger can do more to sell a cookbook than a mention in your magazine. We may not be experts by your definition, but if an expert is someone that audiences trust to guide them in the right direction, we meet that criteria handily. We also run on intimacy. People who read blogs feel so connected with bloggers they sometimes know more about us than they do about their own families. (Ok, admittedly, that can be kind of creepy.) But that fact explains why a post about getting engaged can inspire a bigger reaction than the most heavily-tested risotto recipe. We're not guarded by publicists, image consultants, brand-builders and corporate executives; we offer up our lives to our readers and our readers reward us by supporting our work passionately. Which explains how Deb Perelman wrote a bestselling cookbook and how Ree Drummond scored a show on Food Network and how David Lebovitz has inspired a whole religion of cult followers. True, you've built an empire that no blogger could ever emulate; but, on the flip side, we enhance people's lives in ways that are far more personal. And while you're there on TV for an hour or two a day (mostly in reruns), we're there with people at their desks while they're at work or in their homes while they watch their kids: engaging through our blogs but also Twitter and Instagram and Facebook. Our presence is far more constant in people's lives. We've become like family. Which doesn't erase the fact that our work sometimes lacks polish and/or originality. I'll give you that. Also, we lack the pedigree that gets you through the door at places like Vogue and/or Martha Stewart. Again, we're a frumpy bunch. But bloggers couldn't support ourselves if audiences didn't like what we were doing. And they do. The funny thing is, if you were starting today, I have a feeling you'd begin with your own blog instead of taking the traditional route. You'd be podcasting about potpourri and vlogging your instructions for folding a fitted sheet. True, you'd probably hire teams of minions to churn out posts at a higher frequency to increase your traffic, and maybe you'd fire someone for misspelling "quiche" but the point is the only thing separating you from the bloggers you disdain is about 50 years. Face the truth, Martha: you're really one of us.